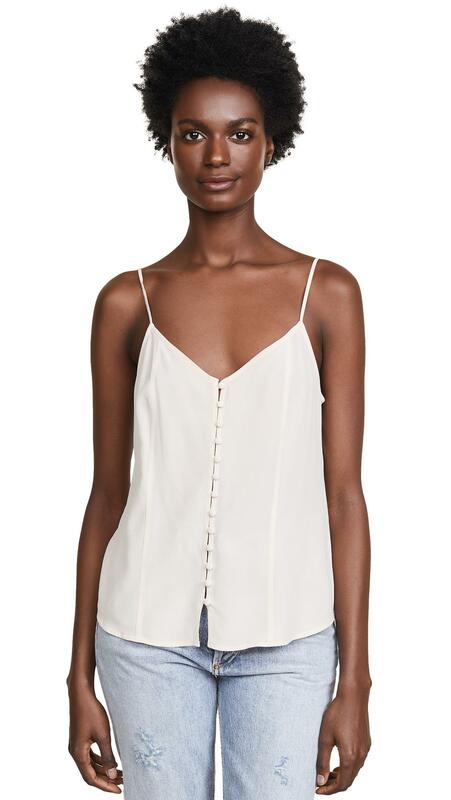 See more L'Agence Sleeveless and tank tops. 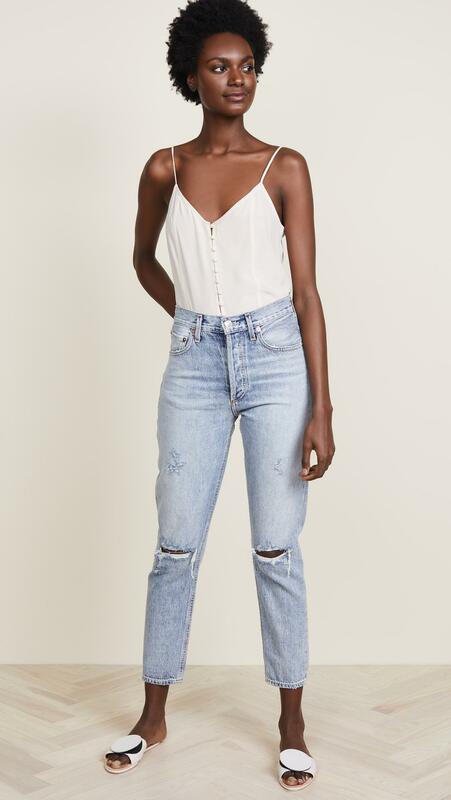 We check over 450 stores daily and we last saw this product for £204 at Shopbop. Fabric: Washed silk crepe. Waist-length style. V neck. Sleeveless. Button at front. Adjustable straps. Open back. Shell: 100% silk. Dry clean. Style #LGENC30751. 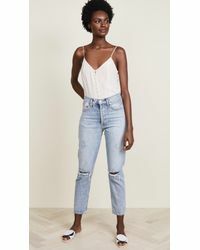 If today's a day for denim, leave your usual tee in the dresser and go for something more polished—like this L'AGENCE silk cami.